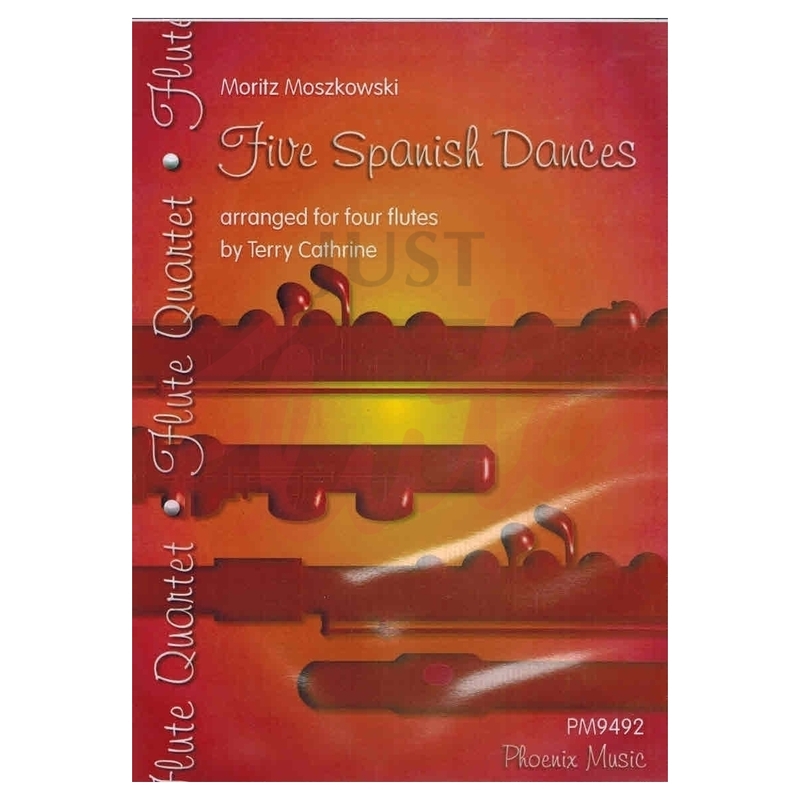 Terry Cathrine really knows how to arrange and these five lovely dances by Moszkowski are very successful. All the dances are in 3/4 and B flat and D major are the hardest keys used. 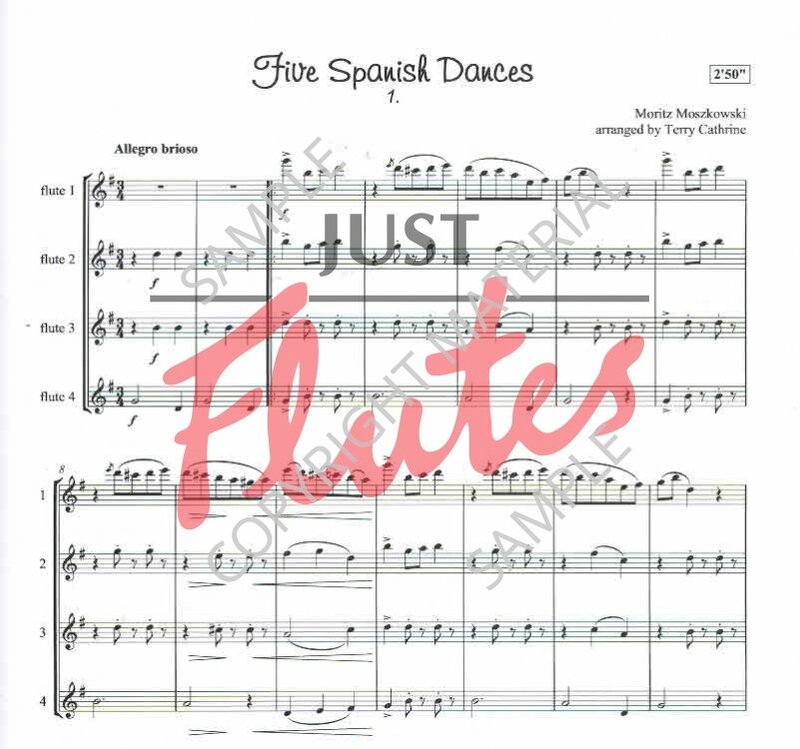 Flute 1 has the most challenging part throughout and generally the accompanying parts are straightforward, although the Bolero has some tricky offbeats to negotiate. My only gripe is that there are some crazy page turns but if there is more that one player to a part this won't really present too much of a problem. The price is good and I'm sure you'll use these pieces time and time again.